Charles Darwin “Skip” Davidson is committed to helping his clients achieve success through his knowledge of construction law, business transactions, and civil litigation. Skip said his goal is to help people deal with legal challenges and opportunities. Davidson Law Firm in Little Rock was established in 1973. The firm has grown to include award winning attorneys and offices in Conway and Hot Springs. 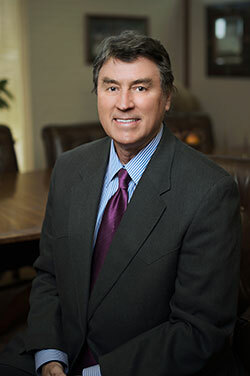 Skip has regularly been voted one of the top attorneys in the state. By employing a team of dedicated lawyers and support staff, Skip insures clients have access to professional representation at a reasonable cost. Skip says, “Being a successful attorney requires intelligence, passion for the law, and a lot of hard work.” He believes in the old saying, “success is attracted by the magnetism of preparation.” He added that one of his greatest professional accomplishments includes representing second- and third generation business owners. Outside of the office, Skip enjoys quarter-horse competition, working on his cattle ranch in rural Pulaski County, and spending time with his family. He graduated from the University of Arkansas at Fayetteville with a B.S., Business Administration and darned his J.D. from the University of Arkansas at Fayetteville School of Law. David Gershner has been representing clients in construction disputes since the day he was first licensed as an attorney. 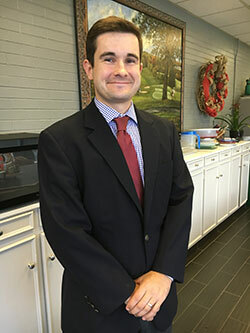 David’s educational background in engineering provides an uncommon perspective among attorneys and allows him to quickly assess the issues in a dispute and effectively communicate with contractors, owners, and design professionals. David represents clients in the construction industry in litigation as well as contract negotiation. He believes the best type of construction dispute is the one you avoid and counsels clients on negotiating contract terms and in documenting and getting approval for any changes or modifications. When disputes are unavoidable, however, David regularly represents clients at trial, in mediation, and in arbitration to obtain fair and just resolution. Aside from construction law, David practices in the areas of environmental law, intellectual property law, and general litigation. He enjoys practicing in these areas as they provide some overlap while still providing unique elements and he is very happy to be able to represent clients in more than one area. Outside the practice of law, David enjoys spending time outdoors, cheering on his Arkansas Razorbacks and spending time with his family. He graduated from the University of Arkansas at Fayetteville with a B.S., Biological Engineering, and from the University of Arkansas at Fayetteville School of Law, where he earned his J.D. with honors.